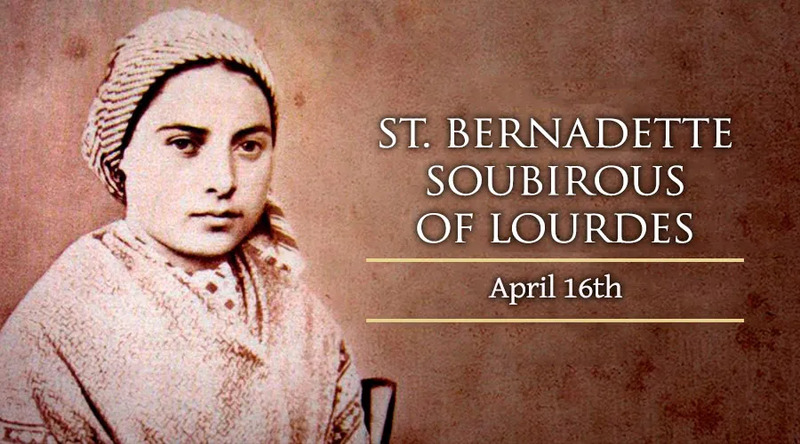 St. Bernadette Soubirous is the renowned visionary of Lourdes. She was born into a poor family in Lourdes, France, in 1844 and was baptized with the name Mary Bernard. Our Lady first appeared to the 14-year-old Bernadette on Feb. 11, 1858, in a cave on the banks of the Gave River near Lourdes. The visions continued for a period of several weeks. Two weeks after the first appearance of Our Lady, a spring emerged from the cave, and the waters were found to miraculously heal the sick and the lame. One month later, on March 25, the woman whom Bernadette had been seeing told her that her name was "the Immaculate Conception", and that a chapel should be built on the site of the apparitions. Civil authorities tried to frighten Bernadette into retracting her accounts, but she remained faithful to her visions. They also tried to shut down the spring and delay the construction of the chapel, but Empress Eugenie of France intervened when her child was cured with the water from the spring, and the church was built. In 1866, Bernadette entered the Sisters of Notre Dame in Nevers. She was diagnosed with a painful, incurable illness soon afterward and died in 1879 at the age of 35. Pope Pius XI canonized her in 1933.